Okay, so. I'm not actually pregnant anymore. I am a mom (!$&@). But, I found this outfit in my archives and I decided to go ahead and get it out into the internet world. This is my last maternity outfit to post, and it kind of makes me sad. It's been fun figuring out how to dress the bump and the fact that I didn't feel guilty splurging on new clothes was kind of fun. BUT, I am so glad that I can reach my toes again (my toenail polish situation was offensive to say the least) and of course, having a baby in my arms instead of my belly is pretty amazing. 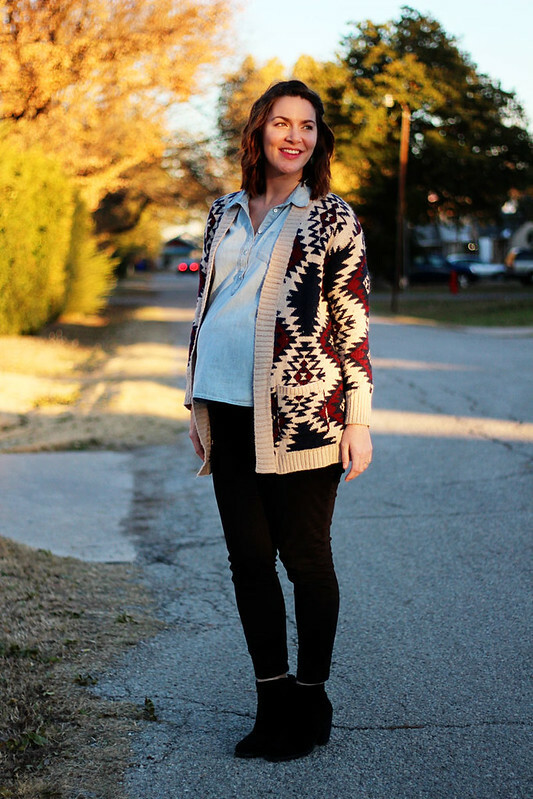 Love the print on your cozy cardigan! You had such great maternity style! Have a wonderful holiday! 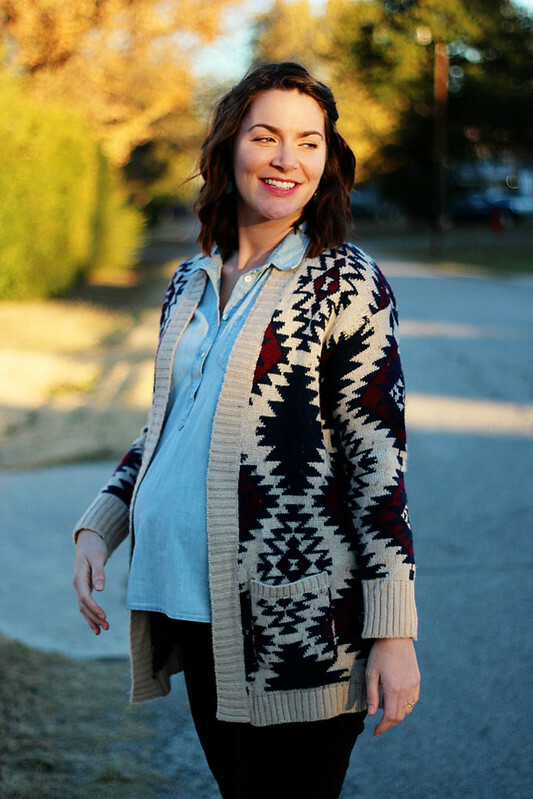 Such a fun cardigan! I love it! You have a baby!! love this outfit, super cute. i'm sad that there are no more maternity outfits, and my toenail polish is pretty bad.. and I can reach my toes lol. Gorgeous aztec print sweater I really want one similar!! Coming by from the Pleated Poppy Link up! Aw, it's fun to see your last maternity outfit! I'll be stealing ideas from you in the coming months, I'm sure! This is a great outfit! You seriously had the cutest maternity outfits. And I love those booties! I can't believe that cardigan is F21! I haven't been there in forever, but they really do have some cute items! You were such a beautiful, stylish yet cozy mom-to-be. I felt bittersweet when I posted my last pregnancy outfit also. 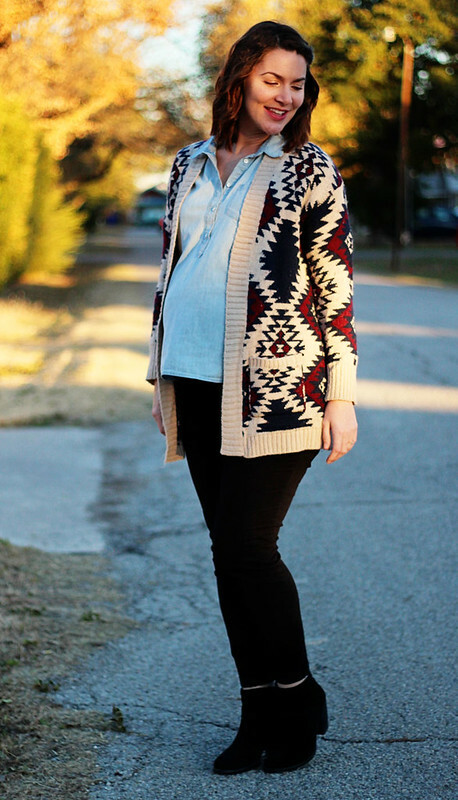 That aztec cardigan is too cute. Hope baby boy is doing well and you are also getting some rest. Happy Holidays Ashley and Merry First Christmas to your little one! 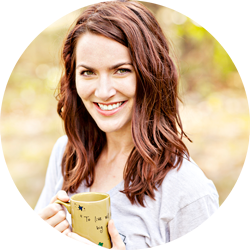 Cardigans are so awesome- so easy, keep you warm, and are super cute! 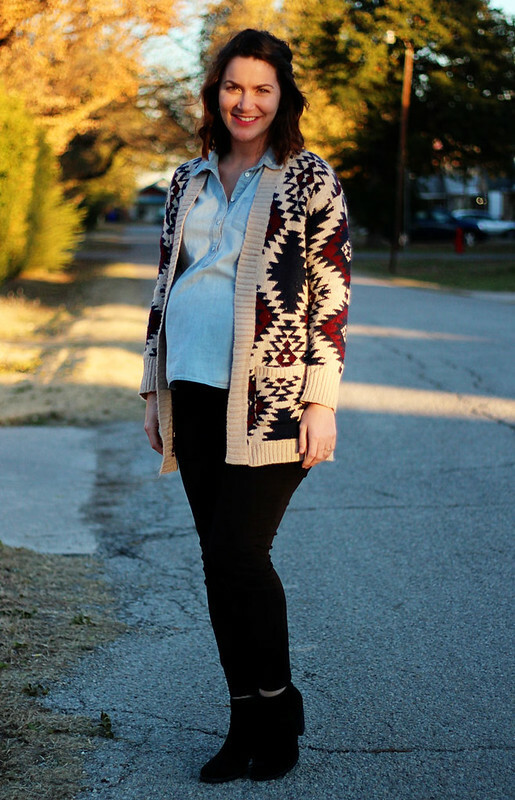 Especially this cardigan- I love it! I've loved seeing all your maternity outfits but I bet holding that little babe trumps them all! I am really impressed that you are wearing heels in this picture. As someone who pretty much can't stand to wear heels on the regular to begin with, I can't imagine doing it while >40 weeks pregnant! (That last comment was me, but I deleted it because I misspelled "heels" one of the times it was written, and I couldn't let it fly!